A new field of collective intelligence has emerged in the last few years, prompted by a wave of digital technologies that make it possible for organizations and societies to think at large scale. This 'bigger mind'?human and machine capabilities working together?has the potential to solve the great challenges of our time. So why do smart technologies not automatically lead to smart results? 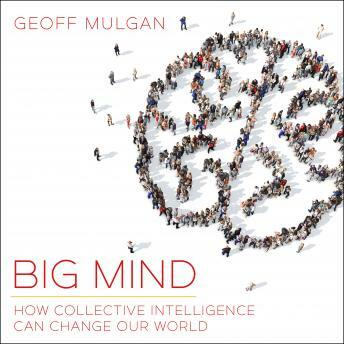 Gathering insights from diverse fields, including philosophy, computer science, and biology, Big Mind reveals how collective intelligence can guide corporations, governments, universities, and societies to make the most of human brains and digital technologies. Geoff Mulgan explores how collective intelligence has to be consciously organized and orchestrated in order to harness its powers. He looks at recent experiments mobilizing millions of people to solve problems, and at groundbreaking technology like Google Maps and Dove satellites. He also considers why organizations full of smart people and machines can make foolish mistakes?from investment banks losing billions to intelligence agencies misjudging geopolitical events?and shows how to avoid them.